Despite differences in geography, population and economic base, the Southeast Asia and Pacific regions have one key aspect in common: they both face unprecedented risk posed by natural disasters and climate change. Over the past decade, countries in both regions have equally suffered from the impacts of typhoons hurricanes, flooding, earthquakes and droughts. The consequences of which are very real for the countries and people of these regions. Regional organisations in both contexts are playing an increasingly visible role in humanitarian action and sustainable development. It was against this backdrop that a learning exchange on the” Development and Operationalisation of Regional Governance Frameworks on Disaster Risk Management and Climate Change Adaptation” between the Pacific Islands Forum (PIF) and the Association of Southeast Asian Nations (ASEAN), was facilitated by the International Federation of Red Cross and Red Crescent Societies (IFRC) in Jakarta, Indonesia from 24 to 25 August 2017. This exchange, the first of its kind between these regions, also brought alive commitments made in the 2016 World Humanitarian Summit Agenda for Humanity which sought to strengthen capacities and collaboration within and between regional organisations. “The exchange between the representatives of the Pacific region Governments and Red Cross National Societies and ASEAN on Disaster Risk Management and Climate Change is a very good opportunity for IFRC to renew our commitment to support inter-regional cooperation and learning with the aim of fostering a more resilient world, where communities are at the centre,” says Mr. Giorgio Ferrario, IFRC’s Head of Country Cluster Support Team and Representative to ASEAN. A delegation from the Pacific comprised of Governments and Red Cross National Societies from the three Pacific sub regions: Melanesia, Polynesia and the North Pacific as well as a representative from the Pacific Islands Private Sector Organisation (PIPSO) travelled to Jakarta for the two-day exchange. During this exchange, the delegation met with representatives from the ASEAN Secretariat (Environment and Disaster Management/ Humanitarian Assistance Divisions) as well as the ASEAN Coordinating Centre for Humanitarian Assistance on Disaster Management (AHA Centre). This Pacific grouping represented the governance task force of the Pacific Resilience Partnership who will be advising and overseeing the operationalisation of the Framework for Resilient Development in the Pacific (FRDP). 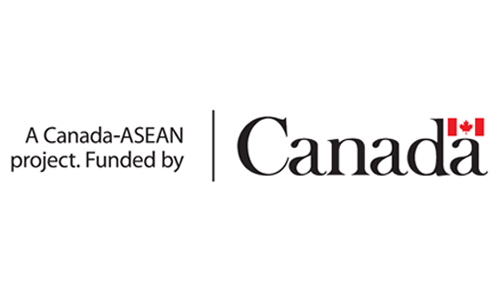 While the Pacific is just starting its journey, ASEAN is soon to celebrate the 10-year anniversary of the ratification of its legally binding ASEAN Agreement on Disaster Management and Emergency Relief (AADMER). This provides the framework and mechanisms for regional collaboration and coordination in disaster risk management. The Pacific were keen to learn from ASEAN what has worked well and what they would do differently if they had the opportunity to start over. Meanwhile, the Vanuatu Red Cross Vice President, Mr. Hannington Alatoa was impressed by how ASEAN has been able to coordinate its 10 member states to do “mega things” in relation to DRR and CCA. 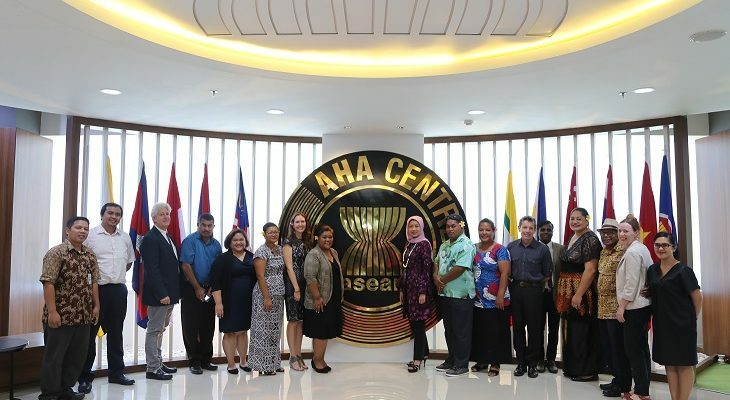 After visiting AHA centre, the Director of Vanuatu’s National Disaster Management Office, Mr. Shadrack Welegtabit was keen to explore how disaster management training opportunities in ASEAN can also be extended to the Pacific and how response coordination models could be replicated by National Disaster Management Offices in the Pacific. Outcomes of this initiative and captured learnings from the exchange will form part of the recommendations of the Governance task force of the Pacific Resilience Partnership to be considered by Pacific Island Leaders. It is anticipated that this exchange is just a first step towards a platform for continued dialogue and collaboration between ASEAN and the Pacific Islands Forum on how to make communities in Asia Pacific safer and more resilient in times of disasters. 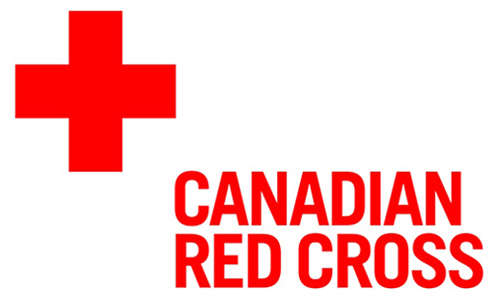 The Red Cross is delighted to a be a key partner in this journey. “The IFRC stands ready to support further steps in the exchange,” explains Mr. Ferrario.